Infosys had, on January 11, announced a buyback of 103.25 million shares worth up to Rs 8,260 crore at Rs 800 per share. The company, on Monday, said it has extinguished 7.20 million equity shares, bought back up to March 26, 2019. Meanwhile, March is a seasonally weak quarter for IT companies. However, analysts expect a steady quarter with strong growth from Infosys, Tata Consultancy Services (TCS), and HCL Technologies and muted growth for Wipro and Tech Mahindra as growth will be led by ramp-up of large deals won by companies over the past two quarters. All companies reported strong deal flow in the December 2018 quarter (Q3FY19). 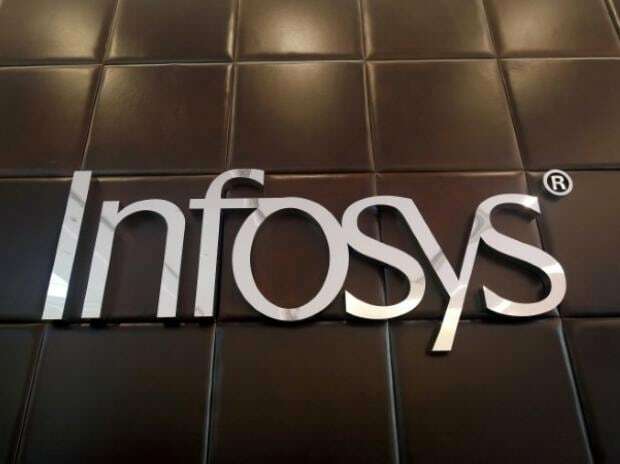 Analysts at Kotak Securities expect Infosys to guide for 8-10 per cent revenue growth in constant currency (CC) for FY2020. They believe that Infosys' EBIT (earnings before interest tax) margin could decline by 100 bps in FY2020. “We expect CC revenue growth of 1.9 per cent and cross-currency tailwind of 30 bps. Q4 is a seasonally weak quarter, yet we expect robust growth powered by large deal ramp in telecom and other verticals. On profitability, we expect EBIT margin to decline further due to costs associated with large deal ramp up, retention bonuses and investments to accelerate growth,” Kotak Securities said in Q4FY19 earnings preview. According to Antique Stock Broking, Infosys’ USD revenue growth of 2.3 per cent Quarter on quarter (QoQ) and 2 per cent in CC implying cross currency tailwind of 30bps. EBIT margin to exxpected be down 50bps QoQ, led by both rupee appreciation and investments in business. “We expect FY20 revenue growth guidance in CC to be 8-10 per cent, however, we expect company to lower margin guidance to 21-23 per cent (from 22-24 per cent). Investors would keenly watch for commentary on demand for CY19, commentary on key verticals of Banking and Retail, update on company's strategy of 'Navigate your next' and commentary on margin trajectory,” the brokerage firm said result preview. Analysts at Centrum Broking expect Infosys to guide for 8-10 per cent CC revenue growth in FY20E (vs 6-8 per cent CC revenue growth guidance given at the beginning of FY19). Infosys had later upped this guidance to 8.5-9 per cent post the Q3FY19 results. Infosys has announced a slew of deals over the past few months and hence we expect continued confidence in revenue momentum, it said. The brokerage firm sees the potential for Infosys outperforming TCS on the revenue growth front in FY20E. The open market buyback, which is being currently executed, is also supporting the stock, it added.